Whether you’re building a new home, or replacing an old roof, we can help you to build a strong, protective roof to cap your home. Here at Rock Solid Exteriors, we specialize in installing asphalt shingle roofs for homeowners. We’re Owens Corning Preferred Contractors, which means that we can guarantee our work, backing your roof with an unbeatable warranty. Count on us for all of your roofing needs. Rock Solid Exteriors is southeastern Michigan’s trusted roof replacement team. We’re proud to provide unbeatable roofing services for folks throughout Oakland, St. Clair, and Macomb Counties. We bring over two decades of experience to the table, providing high-quality work backed by high standards. We strive to provide honest pricing, and we never have hidden fees. As Owens Corning Preferred Contractors we’re proud to offer the exclusive Owens Corning Platinum Protection Roofing System Limited Warranty. All Rock Solid Exterior contractors are insured, licensed, and bonded. 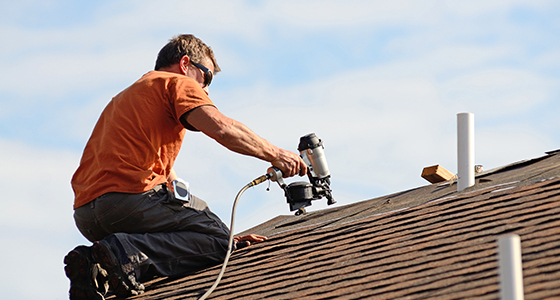 Feel free to learn more about our expert roofing team. A solid roof adds value to your home. While it costs money up front to invest in your roof, you’ll recoup much of the value should you choose to sell your home. Plus, you’ll improve the equity of your home, and you’ll have one more selling point if you ever place your home on the market. If you’re tired of staring at discolored shingles, shingles that are missing their granules, shingles that are cracked, torn, or missing altogether, then a new roof will revitalize the look of your home. Pick the perfect asphalt shingle to accent the materials and colors of your home. With Owens Corning Shingles, your house will be the talk of the town! Owens Corning shingles provide unparalleled protection for homes. If you’re replacing your roof, or building a new home, you can trust that Owens Corning shingles will provide lasting protection for your home. All Owens Corning shingles are designed to last for decades on end, and some products are backed by up to 50 years of protection. As Owens Corning Preferred Contractors, we’re able to provide a guarantee alongside our roofing installations. Depending on the product that you choose, you can obtain a limited lifetime warranty to cover any necessary repairs and replacements. Owens Corning produces a variety of shingle products that are ideal for any home design. From simple, affordable designs to rich, textural patterns, Owens Corning has the perfect shingle to fit the character of your home. Owens Corning products are high-tech, featuring patented technologies, including StreakGuard Algae protection (to stave off algae growth for the lifetime of the shingle); SureNail Technology (which improves installation performance and shingle grip); and WeatherGuard Technology (providing high impact resistance). Owens Corning also carries shingles that are ENERGY STAR rated, so you can rest assured that your roof isn’t hiking up your energy bill. Feel free to learn more about Owens Corning Shingles on our roofing services page, or browse their roofing products on their site. 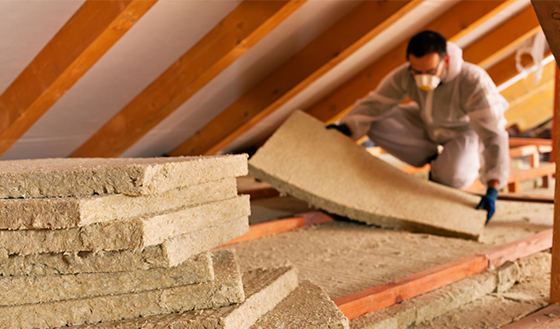 Did you know that you could be losing a quarter of your home’s heat through your attic? If you have a hollow attic with little or no insulation, your winter heating bills could be through the roof (excuse the pun). Here at Rock Solid Exteriors, we ensure that your home remains efficient, even in the dead of winter. We install insulation from Owens Corning, including batting, loosefill, and rolls, as appropriate. With Owens Corning insulation, you can rest assured that your home is protected from the cold of winter. Plus, insulation installation will pay for itself within a few years, thanks to the savings you’ll see on your heating bills. Ready for a new roof over your head? Count on Rock Solid Exteriors. We’ll work with you to settle on the perfect shingle for your home, and then we’ll get to work completing a beautiful install that’s built to last and last. Get started with a free estimate for your project. Call us at 888-97-SOLID, or get in touch with us online.